We've just wrapped up the first part of the season, and have a few days off along with the All-Star weekend coming up. We just finished playing ten weekends straight of back to back Saturday-Sunday games and I could certainly use a break to recharge. Usually, overseas players always look forward to getting a week to ten days to go home to the states for the holidays. Unfortunately, we played games on Christmas Eve and Christmas day this year. Japan doesn't really celebrate Christmas like we do, so it's been quite a different holiday season this year for my wife and I. We did however, get to spend it with a great friend and fellow former Marquette Golden Eagle, Trend Blackledge. Trend plays for Osaka Evessa, and it was great to match up against him on the floor and grab some grub afterwards. We didn't get the traditional Christmas meal, but we certainly enjoyed great american food at the Hard Rock Cafe in downtown Osaka. The Sendai 89ers are sitting at 11-11 now after a rough stretch, losing 4 straight. The club just released one of our four americans, and coach just put in a whole new offense. So we've been struggling a bit because of all the change. 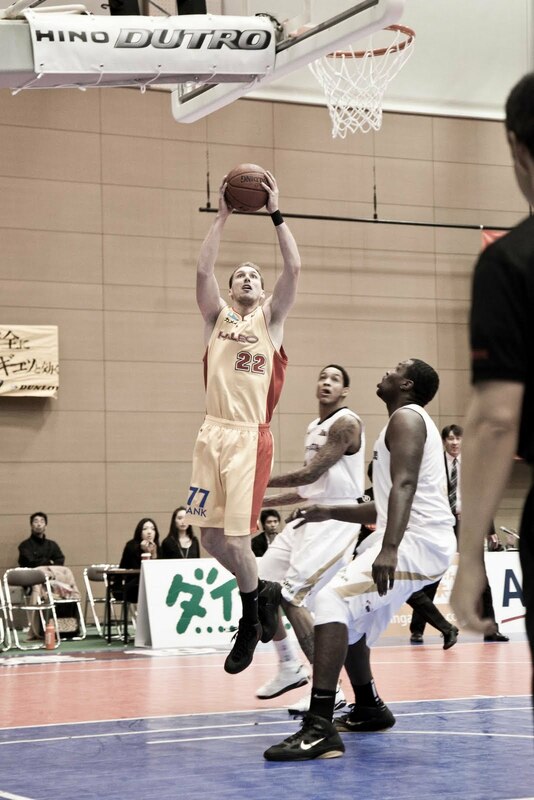 American players being replaced during the season is a common occurrence in overseas leagues. You really can be fired for any reason, just the nature of the business. That does make it tough for the team to gel when players are being funneled in an out, but you've got to stay professional and just do your job. Right now we've got a true 7 foot center, a strong slashing wingman, and yours truly, a 3/4 shooter for americans. Along with our hard-working japanese players, I'm confident the team can band together and make a long run in the playoffs. All-Star weekend is in a week, and we have three 89ers involved in the festivities. Our japanese point guard is loved by the city, and was tops in the fan voting in the league. We also have the two-time defending slam dunk champion on our squad, who is also japanese. He is especially known for his showmanship and costumes, so I'm excited to see it live this year! 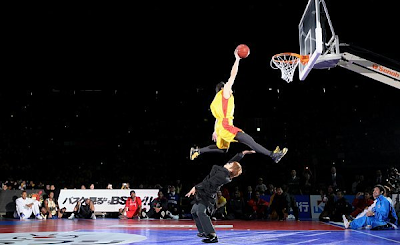 I'm the third representative for Sendai, elected to participate in the 3-point contest. I lead the league in the category so far, so I hope to represent the 89ers well. Also, Trend Blackledge is in the dunk contest as well, so we hope for a Marquette sweep! He'll have some tough competition though, as John "Helicoptor" Humphrey is the favorite. I'm still getting used to the food here, trying a lot of foods I never would have guessed I'd put in my mouth. My wife enjoys sushi and seafood, so I've certainly expanded my horizons lately. Some of these include fish eggs, eel, octopus, squid, tuna with raw egg yoke, and fried whale. Not exactly like training table back at Marquette Union! I have been trying to catch every Marquette game I can online, even if that means getting up extra early the next day here to catch last night's game at home. I missed the LSU loss, and turns out I'm glad I did. I hope Golden Eagle Nation isn't panicking too much over our first loss, even though it was one we shouldn't have given away. Basketball is a game of mistakes, so I hope we are on the right track towards fixing ours. I'd like to give a big congratulations to all our Marquette guys who have finally begun their season in the NBA, its about time! Especially, to Lazar and Steve. Good luck with your new teams!